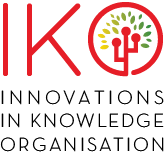 The Innovations in Knowledge Organisation Conference (IKO) was founded in Singapore in 2015. It is organised by ISKO Singapore and curated by Patrick Lambe, Maish Nichani and Dave Clarke. It will take place as a practice-focused day immediately prior to the International Conference on Knowledge Organization, Library & Information Management (co-organised by ISKO India) to be held in Chennai, India October 23-25 2017, in celebration of S.R. Ranganathan's 125th birthday. Registrations for IKO 2017 will also give you access to the main conference. IKO 2017 will be held at the Indian Institute of Technology Madras, Chennai, India on 23 October 2017. In 2016 the Oxford English Dictionary chose ‘post-truth’ as word of the year. Their decision was based on the proliferation of fake news stories and misinformation that accompanied both the US national election and the British EU referendum. On Earth Day in April 2017 thousands of people gathered in London for a March for Science, protesting the negative impact of post-truth culture and politics on science, research and education. How can the Knowledge Organization community engage with and respond to these issues? In this session, David Clarke will describe the problem space and comment on the issues from the perspective of knowledge organisation and information science. The session will conclude with 30 minutes for audience participation, including a discussion about how the KO community can get involved and contribute ideas for solutions. Registration is via the main ICKOIM Conference website. Registration for the IKO Conference day gives you automatic registration to the ICKOIM Conference. When you register, please indicate your intention to participate in IKO 2017. Places are limited to 50 participants for IKO Chennai, on a first-come first-served basis. Register at the above link to secure your place! ​The conference will be held at the Indian Institute of Technology Madras.